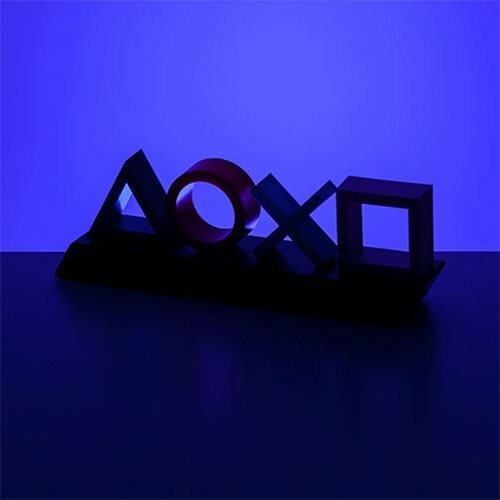 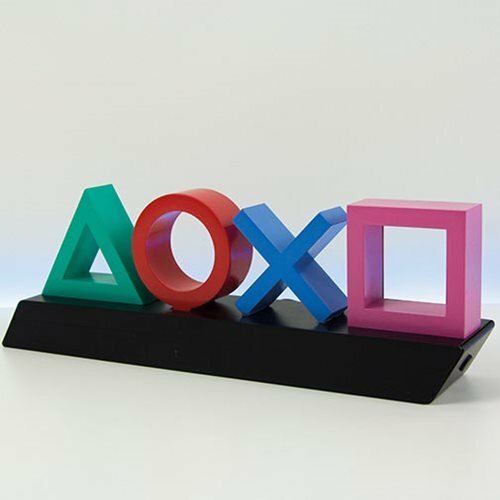 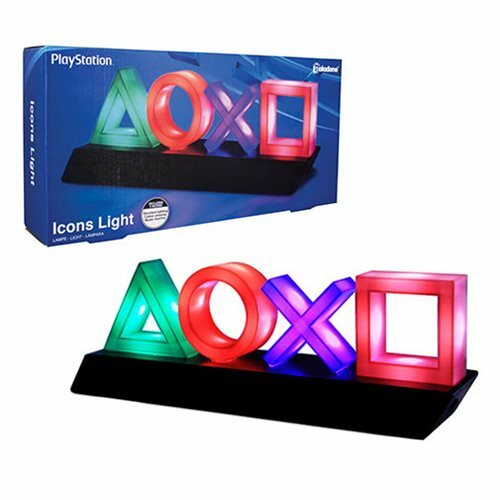 Perfect for gamers, this PlayStation Icons Light features the classic PlayStation controller button symbols on a sleek black plinth, making an ideal addition to any bedroom or gaming den. 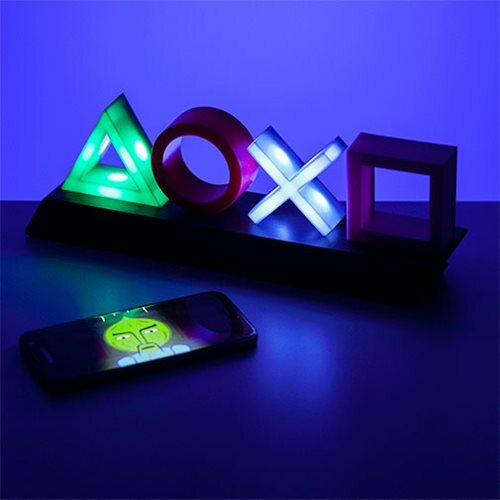 Featuring three different settings, including standard lighting, color phasing and music reactive modes. 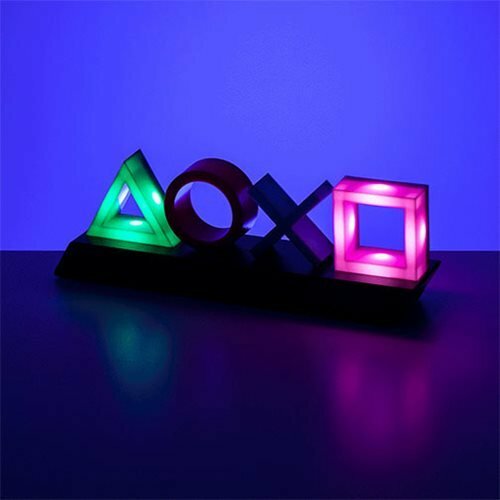 The PlayStation Icons Light makes a great gift for gamers! 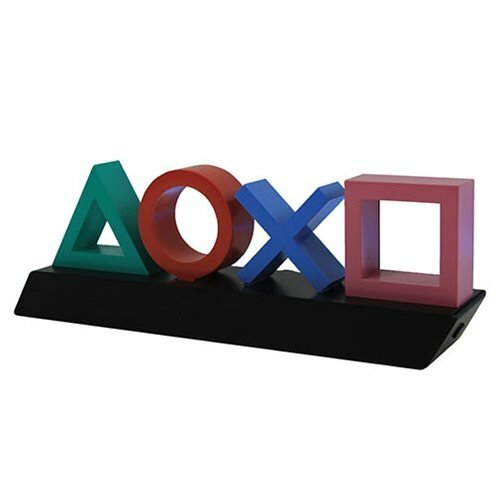 Measures about 11 4/5-inches long x 4-inches tall x 2 1/3-inches wide.